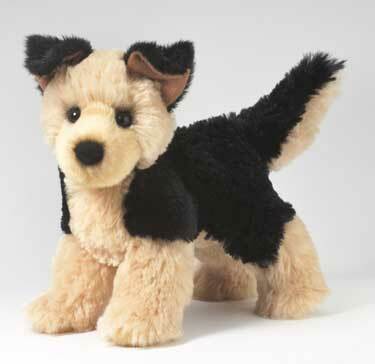 Douglas Cuddle Toys makes soft furry toy dogs that look just like your own Pet! These Realistic Stuffed Dogs are very life like. 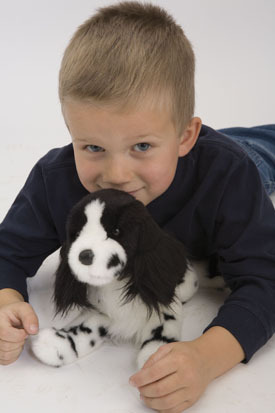 Great gifts for kids who want a toy dog of their own! 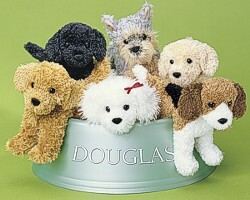 Douglas Cuddle Toys celebrated their 50th birthday in 2006! 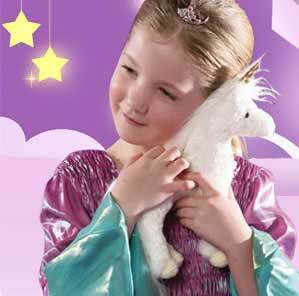 They are known in the gift and toy industry for their stuffed dogs, plush cats, and life like horses with endearing expressions and irresistible softness. 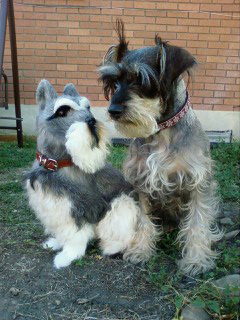 Here is our Collection of 8" & 9"Stuffed Fur Toy Dogs. 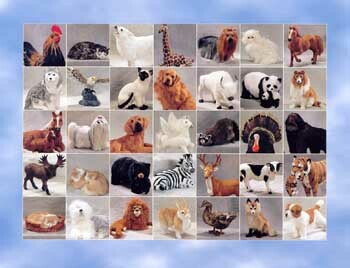 These realistic Synthetic Fur Dogs are made from the best quality synthetic furry material that is so soft and some of them are machine washable! What a great gift for a kid who wants a dog "just like mine"! This is Shorty the Tri Colored Corgi Stuffed Dog from Douglas Cuddle Toys. He is adorable and measures 8" long. His fur is so soft, you will love petting him! Shorty, the Tri Color Corgi Synthetic Fake Fur Dog would make a great gift for Christmas or Birthdays for any child or puppy dog lover. 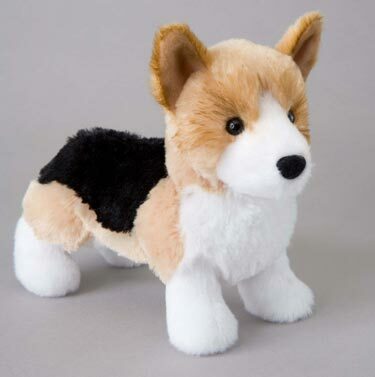 This Tri Colored Corgi Dog is machine washable with instructions. 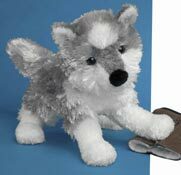 This is Blizzard, a Gray and White Husky Dog by Douglas Cuddle Toys. He is so soft & cuddly that he will steal your heart away! He has pretty amber/black eyes, a black nose and measures 8". 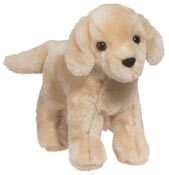 This soft stuffed Australian Cattle Stuffed Dog is a wonderful gift idea for any child's birthday or Christmas Present. This Husky Plush Dog is machine washable with instructions. 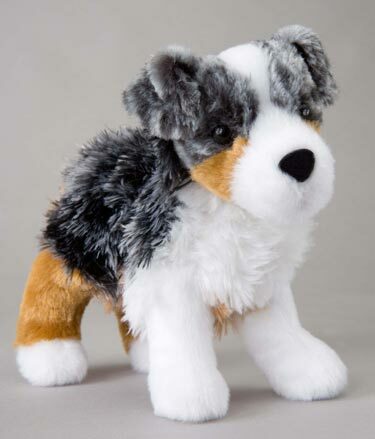 Meet Steward, the soft plush Australian Shepherd dog by Douglas Cuddle Toys. Steward is 8" and he is looking for a good home. Hhe has pretty amber/black eyes, a black nose and a short tail. His fake fur is so soft and he is so loveable! 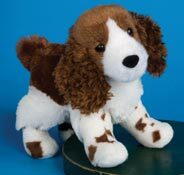 This soft life like Australian Shepherd would be the perfect gift for a child who wants a stuffed dog "just like mine"! 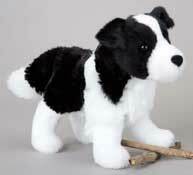 This Australian Shepherd Dog is machine washable with instructions. 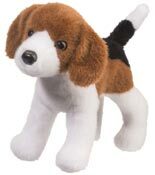 Here is Fiesty the Jack Russell Dog from Douglas Cuddle Toys. 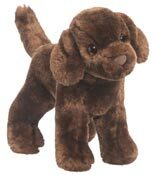 He measures 8" and is made from very soft synthetic fur. He is so cute and looking for a good home! 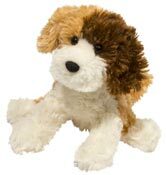 This soft plush Jack Russell Toy Dog is the perfect gift for Birthdays or Christmas. He is very cuddly and looks so life like, you will think she is a real dog! This Jack Russell Dog is machine washable with instructions. Meet Clanger, the soft plush Australian Cattle by Douglas Cuddle Toys. Clanger is 8" and he is looking for a good home. He has pretty amber/black eyes, a black nose and a short tail. His fake fur is so soft and he is so huggable! 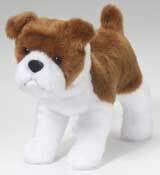 This realistic life like Australian Cattle Toy Stuffed Dog would be the perfect gift for a child who can't have a pet of their own. This Australian Cattle Dog is machine washable with instructions. Meet Dilly, the soft plush Dachshund Dog by Douglas Cuddle Toys. Dilly is 8" long and he has pretty amber/black eyes. He fur is so soft and he is so loveable! 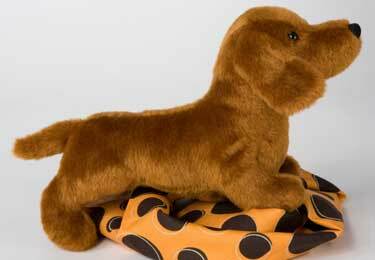 This soft life like Dachshund Toy Stuffed Dog would be the perfect gift for a child who can't have a real dog of their own. This Dachsund Dog is machine washable with instructions. 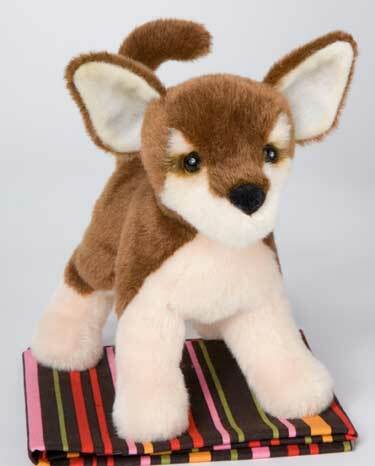 This is Pepito the Plush Stuffed Chihuahua Dog from Douglas Cuddle Toys. 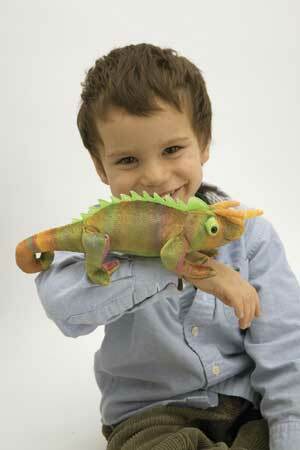 He is adorable and measures 8" long. His fake fur is so soft, you will love petting him! 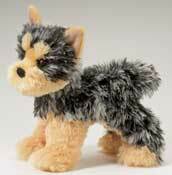 Pepito, the Synthetic Chihuahua Dog would make a great gift for Christmas or Birthdays for any child or puppy dog lover. This Chihuahua Dog is machine washable. 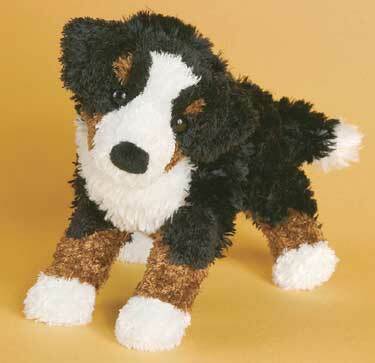 This is Miranda, a Bernese Mountain Dog by Douglas Cuddle Toys. She is so soft & cuddly that he will steal your heart away! 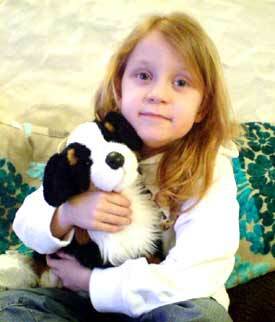 She has pretty amber/black eyes, a black cloth nose and measures 8". 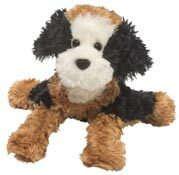 This soft stuffed Bernese Mountain Stuffed Dog is a wonderful gift idea for any child's birthday or Christmas Present. 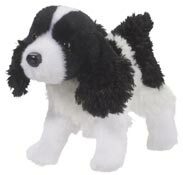 This Bernese Mountain Plush Dog is machine washable. Meet Sven, the soft plush Great Dane by Douglas Cuddle Toys. Sven is 8" and he is looking for a good home. He has pretty amber/black eyes, a black cloth nose and a short tail. His fake fur is so soft and he is so huggable! 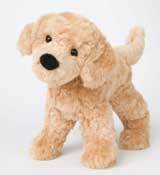 This soft life like Great Dane would be the perfect gift for a child who wants a stuffed dog "just like mine"! This Great Dane Dog is machine washable. 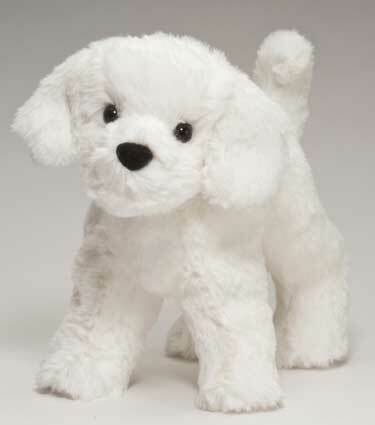 Here is Dandelion Puff the White Bichon Dog from Douglas Cuddle Toys. He measures 8" and is made from very soft synthetic fur. He is so cute and looking for a good home! 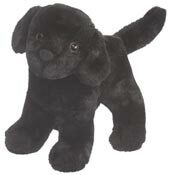 This soft plush Bichon Toy Dog is the perfect gift for Birthdays or Christmas. He is very cuddly and looks so life like, you will think she is a real dog! 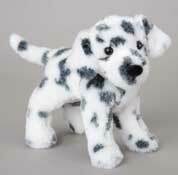 This Bichon Stuffed Dog is machine washable. 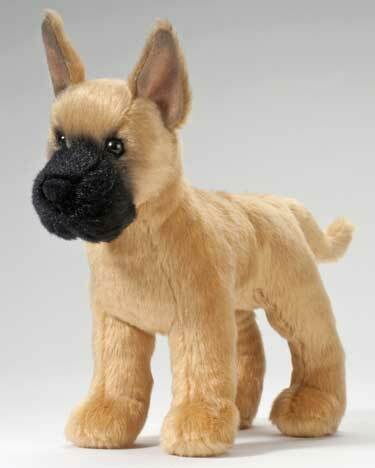 Meet Sheba, the soft plush German Shepherd by Douglas Cuddle Toys. Sheba is 8" and she is looking for a good home. She has pretty amber/black eyes, a black cloth nose and a fluffy tail. Her synthetic fur is so soft and she is so lovable! 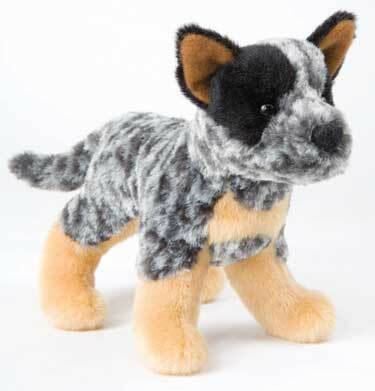 This realistic life like German Shepherd Toy Stuffed Dog would be the perfect gift for a child who can't have a pet of their own. 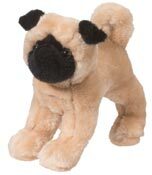 Meet Sylvie, the soft plush Bull Dog by Douglas Cuddle Toys. Sylvie is 8" and she is looking for a good home. She has pretty amber/black eyes, a black nose and a short tail. Her synthetic fur is so soft and she is so loveable! 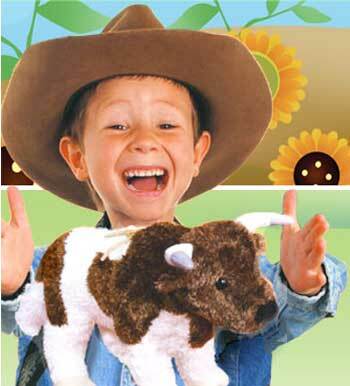 This realistic life like Bull Toy Stuffed Dog would be the perfect gift for a child who can't have a pet of their own. This Bull Dog is machine washable. Meet Yonkers, the soft plush Yorkie Dog by Douglas Cuddle Toys. Yonkers is 8" long and he has pretty amber/black eyes. His fake fur is so soft and he is so huggable! 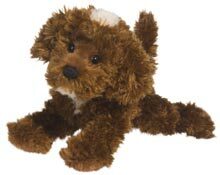 This soft life like Yorkie Toy Stuffed Dog would be the perfect gift for a child who can't have a real dog of their own. This Yorkie Stuffed Dog is machine washable. 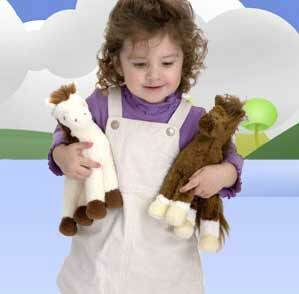 Kids love to play with the Plush Horses! for kids who Love Toy Horses! kids who cannot have a dog of their own! 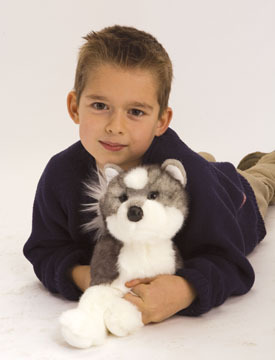 Kids just Love these Stuffed Plush Husky Dogs! 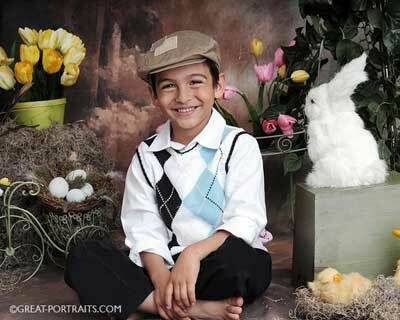 Here is another picture from our Snapshots Page. Can you tell which is the Realistic Furry Dog?